You've worked your way through some theme tournaments on PTCGO. 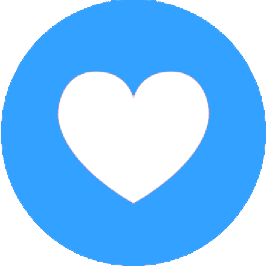 You have your credit card in hand and have loaded up TCGPlayer or TheGameAcademy. It is time to build your first deck. But, what will it be? 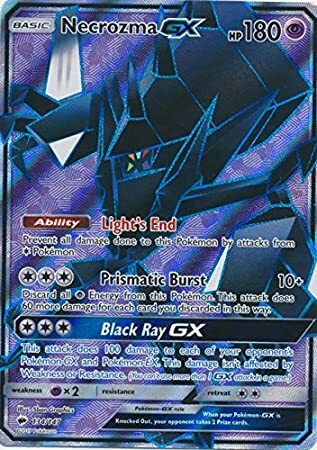 This guide is meant to highlight the relatively low cost of PTCGO to other trading card games and give some examples of "budget" decks, which are still rather powerful. We have excluded the card Tapu Lele GX, as it is a barrier to entry for some new players that don't want to spend much money. These decks, online, are worth roughly 20 packs or less (~10 USD). If you play with physical cards, the price will be higher, likely in the $50-100 range. This is enough for most decks. There are a couple of powerful decks that are outside of this budget, but you can and will be able to compete against them. However, new players of the physical TCG should check out their local game stores before buying a deck. You might find players or the shop willing to sell you Energy cards and common Trainers for lower than normal prices (or free). Before we get into specific decklists, I want to take a second to reiterate a general deckbuilding point which you will have seen come up if you've read the other sections of the beginner's guide: Trainer cards are good. Trainer cards are your friends. Trainer cards make your deck consistent. Trainer cards are reusable in multiple decks. Having a good suite of Trainer cards makes your life easier. If you're playing with real cards, drop the $20 on your playset of N way before you consider adding the extra copies of whatever Pokémon your deck is themed around. You will use it in every single deck you build until it rotates out of standard. Next, let's talk about some decks with great strength to cost ratios. 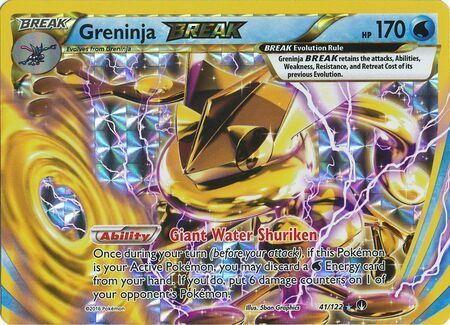 Greninja BREAK is the most common answer to new players wondering what deck they should start out with. While it does take a few turns to set up, it is both cheap and powerful. The deck revolves around using Frogadier's Water Duplicate attack to get all Frogadiers from the deck, and then evolve them into multiple copies of Greninja and Greninja BREAK, locking your opponent out of Abilities and providing chip damage anywhere on the board with Giant Water Shuriken, an ability that lets you deal 60 damage once per turn by discarding a Water Energy. If you're using the online client, PTCGO, you can obtain a large portion of this deck by purchasing two copies of the Wave Slasher theme deck and a few others that contain needed Trainers. While decks like Gardevoir and Greninja revolve around setting up a Stage 2 Pokémon, this deck focuses on EX and GX Pokémon that have high HP and damage. Volcanion EX's Steam Up ability lets you discard a Fire energy to increase the power of your attack this turn by 30. Turtonator GX's ability brings back up to five discarded Fire energy, and Ho-Oh hits for large damage. Unleash the strong attacks from Turtnator or Ho-Oh to obtain an early lead, followed by recharging with Turtonator's Nitro Tank GX to coast to a victory. Play Tip: Use Staryu's free retreat or a Float Stone along with Guzma to remove the downside of attacks like Ho-Oh GX that prevent it from using the same move twice. Play Tip: Turtantor GX's GX attack is much better than Ho-Oh's. Since you can only use one per game, try not to waste it. If/when you get Tapu Lele GX, consider also adding in a copy of Kiawe, which allows you to power up on the first turn. Drampa GX provides the ability to draw 10 cards, control your opponent's Special Energy, and also serves as a big hitter. 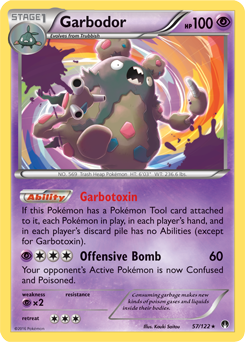 Garbotoxin Garbador locks down your opponent's Abilities, and Trashalanche Garbador deals damage for every item card that has hit their discard pile. Po Town punishes evolution heavy decks like Greninja or Gardevoir and doubles as a way to remove Brooklet Hill and other stadiums from play without wasting a Field Blower. Lock down your opponent, and then hit big with Garbador! The deck also includes Espeon EX, which combos with Po Town to rack up damage on your opponent's Pokémon. Like most other decks, add in Tapu Lele when you can. A more expensive variant of Garbador combines it with Golisopod GX, a hit-and-run attacker that deals 120 damage for one energy on the turn it enters the active zone. This decklist uses other cards like Acerola to return damaged Pokémon to the hand while also promoting Golisopod to the active zone. Energy manipulation is a recurring theme in popular decks. Greninja and Volcanion discard energy from their hand to power up attacks, for instance. Tapu Bulu is a heavy hitter that deals 180 damage for three energy at the cost of discarding all attached energy (or 120 without discarding). Vikavolt's ability allows you to attack a Grass and Lightning Energy from your deck for free each turn. This means if you also play energy from hand, you will have the three you need every turn to fire off Tapu Bulu. To set up, the deck utilises Rare Candy to skip the middle evolution of Vikavolt. Additionally, Super Rod and Brock's Grit allow you to recycle your energy back into the deck to be retrieved once more by Vikvavolt. 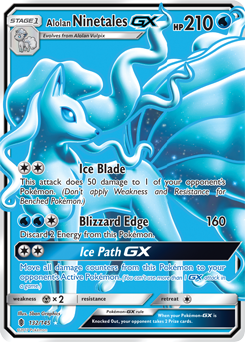 This anti-meta deck features Alolan Ninetales GX, whose GX attack allows you to fully heal your Ninetales while pushing all of the damage counters to the opponent's active Pokémon. With 210HP, Alolan Ninetales GX is hard to OHKO, and if they attack without KOing it, often hitting for 160-190 damage, you often have the opportunity to return the KO. It also runs the Mallow supporter card, which lets you stack your deck, along with a 2-2 Octillery line to fill your hand. Alolan Vulpix's Beacon attack also lets you search for two Pokémon, but those are at a high risk of being hit by an opponent's N.
This deck uses Captivating Poképuff to force your opponent's Pokémon into play, and then follows up with the attacks of Tapu Koko, Necrozma-GX, and Weavile to deal damage to multiple Pokémon at once. We also include a Po Town/Espeon EX lineup, allowing you to deal additional chip damage and gain KOs with Espeon's devolution attack. This deck's strength is the ability to perform huge momentum shifts, knocking out multiple of the opponent's Pokémon in one turn and claiming 3+ prizes. That about wraps it up for this post. Unlike the other sections of the beginner's guide, there is a lot of variance here in terms of what decks should be featured and the cards those decks should run. Please feel free to suggest changes to these lists and post any decks you think should be included here.